of never having been sold on the type one body. 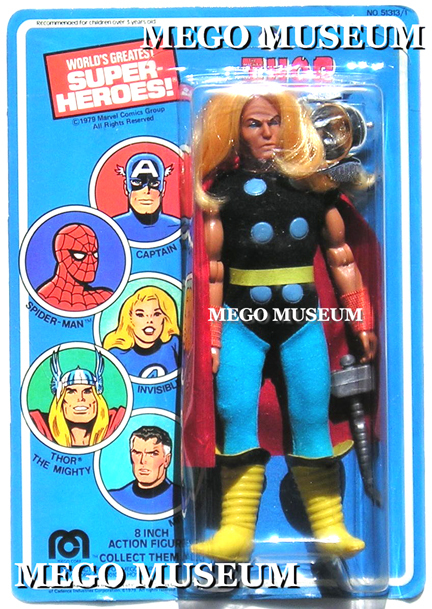 Mego Thor greatly benefited from being a later Mego release. The Vac-metallized helmet is attached to a small hole in his head with a post inside the helmet, this often found broken on loose figures. 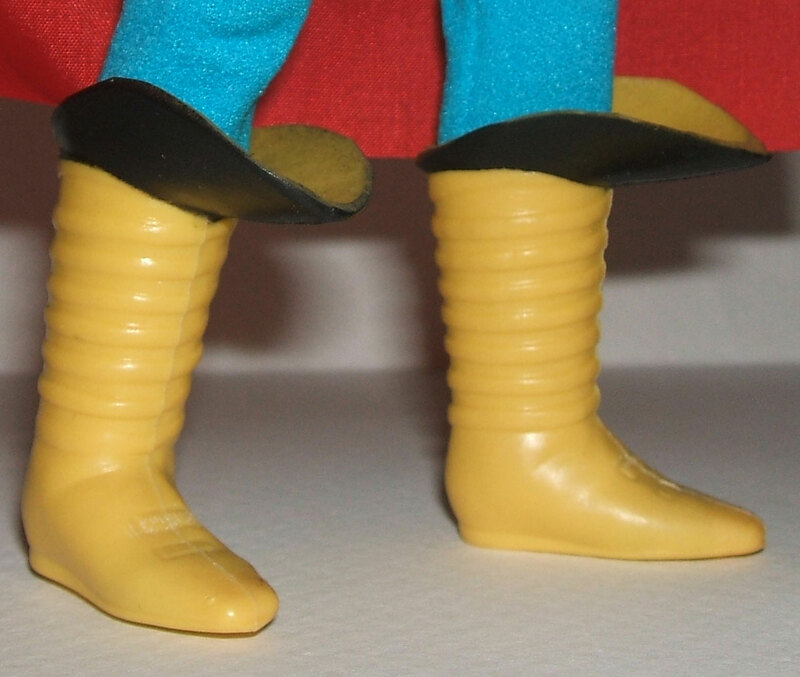 His very cool boots are yellow rubber. His hammer Mjolnir is an often missing accessory. 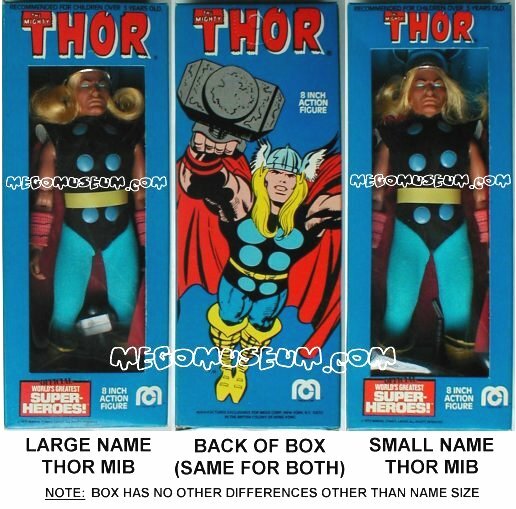 What’s Mego Thor worth? 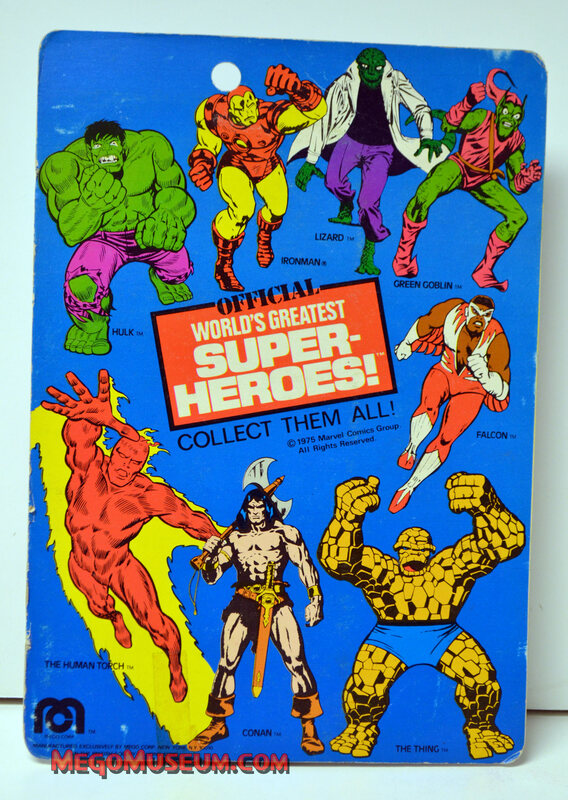 We’re not a price guide here at the MegoMuseum but we do keep tabs on what things sell for on ebay. It’s a section we call The Going Rate. 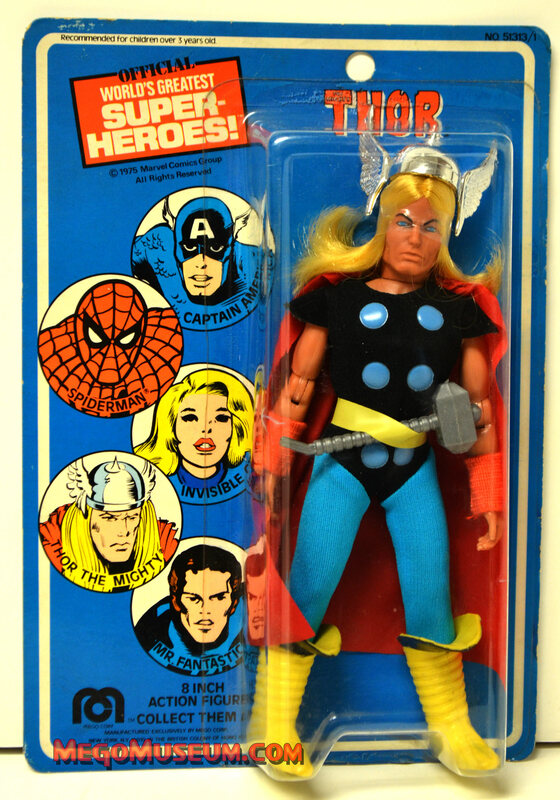 Thor is also known to come with a vinyl cape, this was a short run variant for Mego figures. 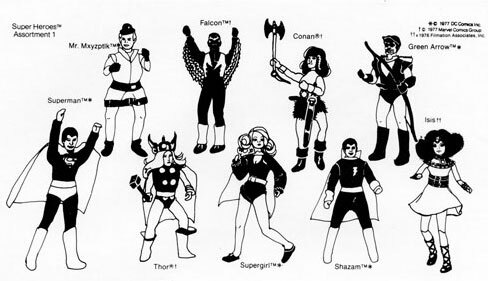 Other known vinyl-caped figures include Shazam and Batman. Here is a side by side example of the variations in Thor’s armbands. Another view of the box courtesy Robyn Adams. 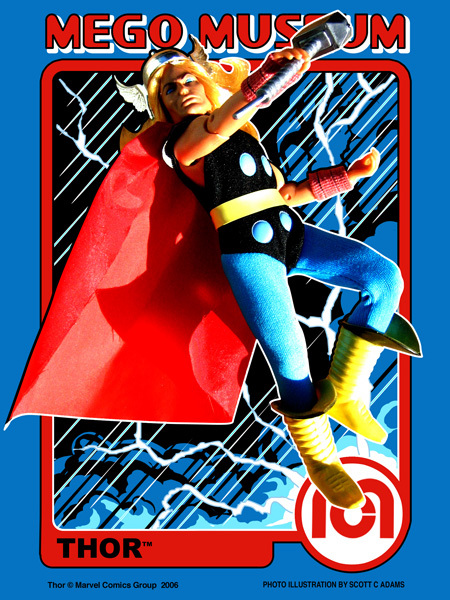 Mego Thor on the 1975 Copyrighted Mego Card. Carded 1975 Mego Worlds Greatest Superheroes Thor , this shot is courtesy of Heroes West Coast (hey! Shop there). This is the more commonly found variation but it still will cost you something as the MegoMuseum Going Rate section suggests. Here is the gorgeous card back for Thor. A large majority of Children of the 70s poured over one of these at least once in their or else, why would be here now? 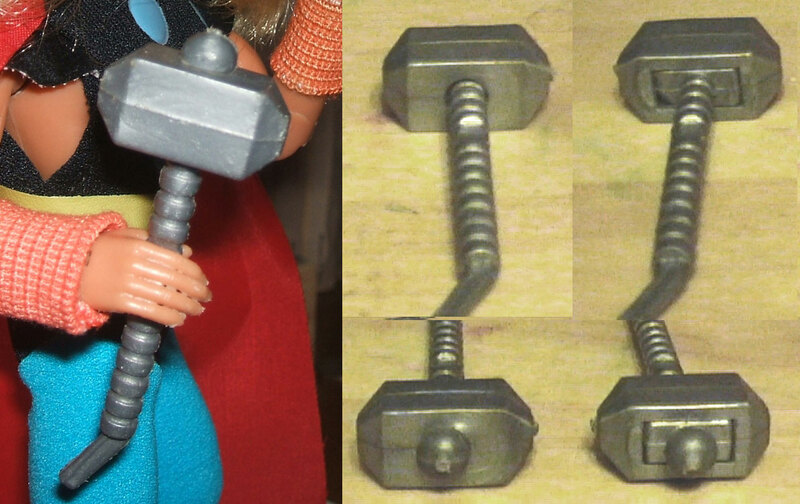 Thor’s hammer comes in a couple different variations, one with a solid head, and one that looks like it would slide on and off the handle. 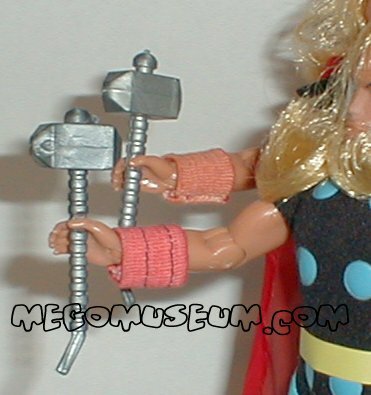 Thor’s hammer has not been factory reproduced. There are hand casted versions that have been made. Look for airbubbles and flashing, brittle plastics or hard resins when identifying these handmade reproductions. 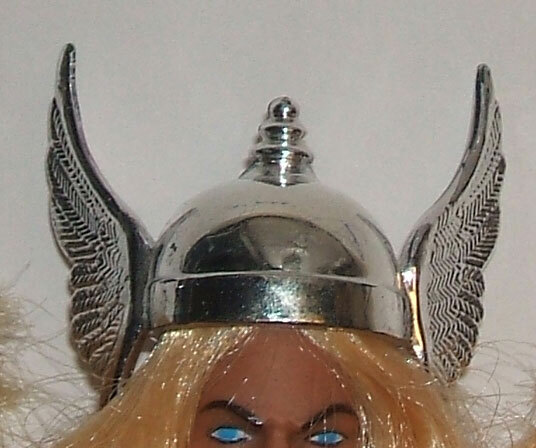 Thor’s helmet has not been factory reproduced. There are hand casted versions that have been made. Look for airbubbles and flashing, brittle plastics or hard resins, and a flat silver finish when identifying these handmade reproductions. 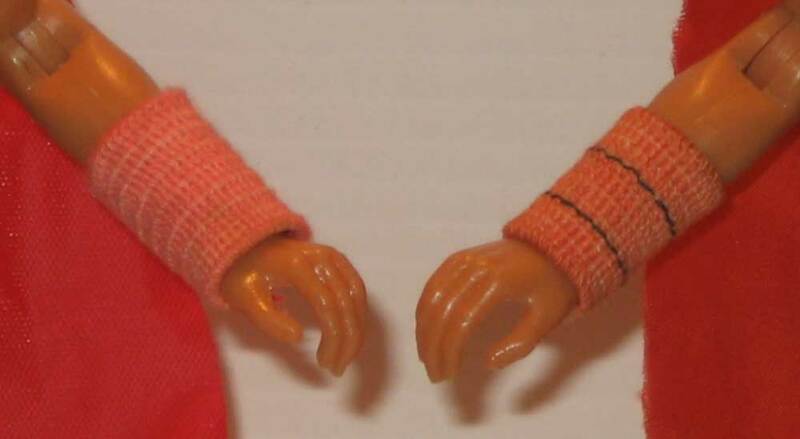 There are two versions of Thor’s cuffs. One has 2 dark stitching lines going through them, one is plain. 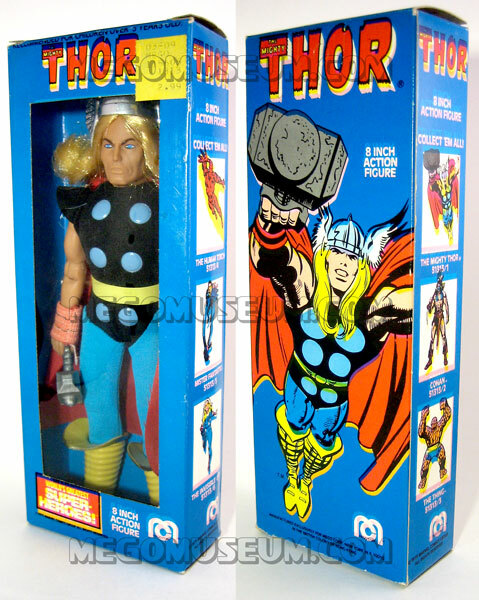 Thor’s cuff’s have not been factory reproduced. 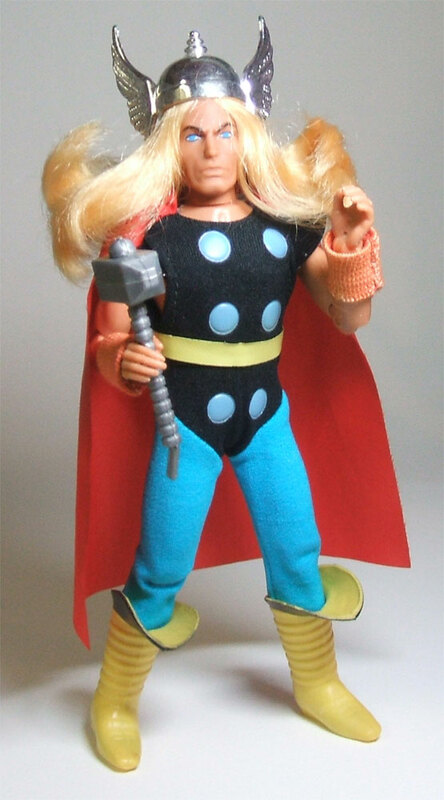 Thor’s boots are unique to the character and have not been factory reproduced. Thor’s cape is attached to the suit and there is a variation. 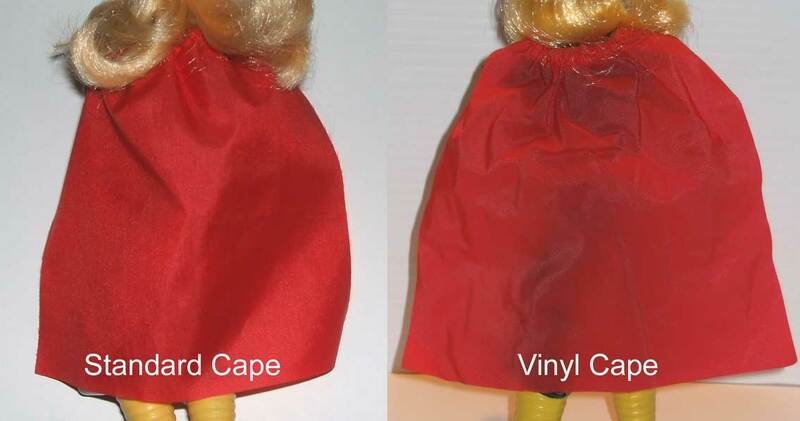 Most Thor’s have a cape made of the standard mego cape material, but some have a cape made of vinyl. It’s a thin semi-transparent vinyl with a waffle texture.